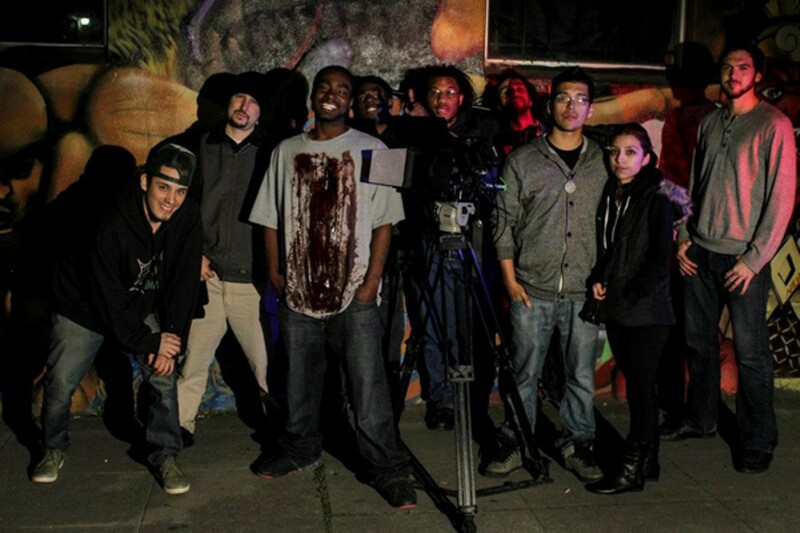 The New Parkway and East Oakland organization Youth UpRising team up for the First Friday Shorts series. 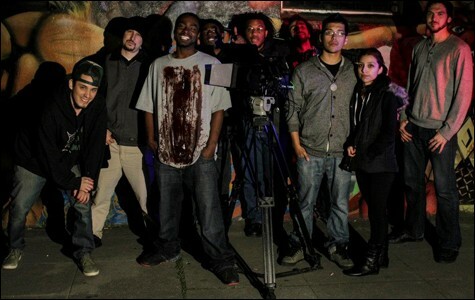 Crew on the set of Under the Gun. First Fridays show off the talents of artists, street performers, and musicians, and this month young filmmakers from East Oakland will be added to the mix. The First Friday short film series is the result of a partnership between The New Parkway Theater (474 24th St., Oakland) and East Oakland-based organization Youth UpRising to showcase youth-made films. In March, San Francisco State professor Jillian Sandell began working with the manager at The New Parkway on First Friday Shorts, a movie series that aims to highlight the work of local media arts organizations. "First Friday is so much about showcasing the rich diversity of arts in Oakland," said Sandell. "But there hasn't been much film." Each month Sandell partners with different organizations, like the Bay Area Women in Film and Media and Media Education Alliance, but she wanted to involve more youth groups. "Film can be a really great way that youth are able to tell their own stories using their own visual language," she said. So a few months ago she connected with Rafael Flores, the director of the Arts and Expressions department at Youth UpRising, which uses educational, civic engagement, and arts activities to encourage young people to become community leaders. She and Flores planned a screening featuring the films created in the organization's video production program, in which participants learn the technical aspects of film creation, as well as how to distribute their work. According to Flores, film is an empowering way for youth to tell stories because it allows them to develop their voices as representatives of their community and identify with what they see on the screen. The works shown were all made by filmmakers between the ages of 16 and 24 and tackle serious topics, like racial profiling, in innovative ways. For example, one of the films, Transform: Oakland for BRT, is a hip-hop opera about the public transportation initiative from San Leandro to Berkeley, and explores misconceptions people have about their fellow bus passengers. Twenty films will be shown during the event, including the turf dancing videos Raw Turf and Dancin' in the Rain, which catapulted the turf dancing craze into the spotlight; Violence Is Not Justice – Oscar Grant, which captures reactions of East Oakland community members to Grant's death; and Under the Gun, a docudrama about the increasing rate of infant homicides in East Oakland. In some cases the films serve as an outlet for youth to deal with traumas they have experienced. De'Mario Williams, the director of Under the Gun, was shot three times and his cousin was murdered in front of him while he was exploring the trend of violence against innocent bystanders. "He became a victim of the violence he was seeking to expose," said Flores. While some of the topics being addressed are somber, Flores also hopes the film series will help combat the perception that East Oakland is a terrible place. "We don't want people to feel that way," he said. "There are amazing young people that have great talent who completely break the stereotype."